New to Offshore or Subsea Engineering? Want to develop a career in this core area? Get started with Chess Subsea Engineering company sponsored STUELG Level 1 course with online & offline option. To develop the highly specialized skills and knowledge in the areas of Offshore & Subsea Engineering at basic level (Level 1). This 95% company sponsored course is for undergraduates, entry level graduates, intermediate engineers and technicians from any discipline switching careers into deep-water operations. Objective of this sponsored course is to increase awareness, participation and career opportunities, for young graduates, technicians, diploma holders, engineers and undergraduates in the areas of offshore, subsea and deep-water operations worldwide. Deepwater’s certificate shall be issued directly by Chess Subsea Engineering Europe. Participant shall be presented for Offshore Petroleum Training Organization (OPITO) Certification in Subsea Technology at a discounted cost after competence assessment. Course Fees offline: #70,000 Naira Only @ our deepwater subsea training & research facilities Africa Portharcourt, Nigeria only. Please kindly contact us directly on [email protected] , [email protected] or [email protected] with your email ID and phone number at once if interested on our company sponsored course Subsea Technology for Undergraduates Technicians Diploma Holders & Entry Level Graduates (STUELG) Level 1 as we have very limited slot. Registration booklet along with course full details shall be emailed to you directly. Feel free to contact us directly on +447946739882, +447903310642, +2348151453146, +23407061027534, +2348139340494 Monday to Saturday Only between 9.00am to 4.30 pm on any enquiries. 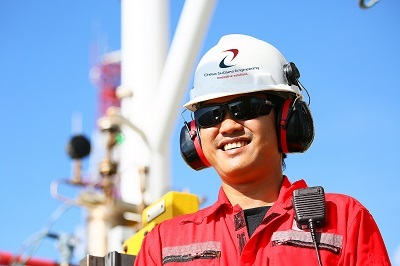 Chess Subsea Engineering is an international underwater subsea training, technical manpower supply and engineering consultancy company, with proven competence in delivering results to client’s satisfaction. Our extensive experience with Floating Production Storage & Offloading (FPSO) Unit, Drillships, Risers, Pipelines & Underwater Engineering services enable us to provide the clients with professional and cost effective solutions that stands out for their quality, enabling Oil Major as well as marginal E&P hit their production objectives. We are the ideal solution for on boarding competence training and on the job subsea operations familiarization and a perfect start for building your subsea career internationally.